Every year on December 31st, the eyes of the world turn to Times Square. 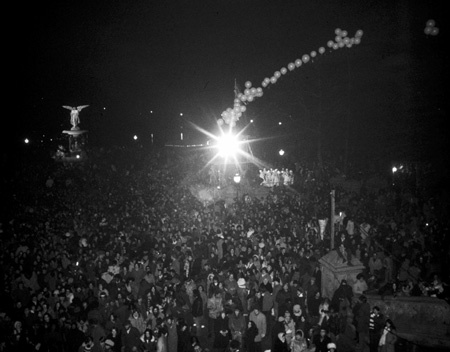 In fact, New Yorkers, and revelers worldwide have been ringing in the New Year from 42nd Street since 1904, when Adolf Ochs christened the opening of the New York Times building on what was then Longacre Square with a New Years celebration complete with midnight fireworks. In 1907, Ochs began dropping a ball from the flagpole of the Times tower, and a tradition for the ages was set in motion. But long before Adolf Ochs and his proclivity for pyrotechnics, New Yorkers had been ringing in the New Year with traditions both dignified and debauched. From the George Washington and the old Dutch custom of “Calling,” to the rancorous tooting of tin horns, one thing is clear, New York has always gone to town for the New Year. Hardhats aren’t your typical church-going attire, but they were necessary at Trinity Church when Vicar Rev. Philip Jackson led a behind-the-scenes tour of Trinity’s ongoing $112,000,000, two-year restoration. 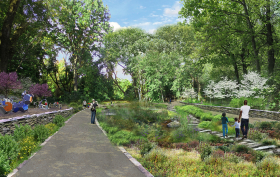 The project, officially known as a “rejuvenation” of the facilities, began on May 7, 2018, and is slated to be finished in the spring of 2020. Now six months underway, the meticulous work, headed by architect Jeff Murphy of Murphy Burnham and Buttrick, will preserve Trinity’s landmarked church building while “enhancing the overall worship experience,” by making the church more accessible and welcoming. 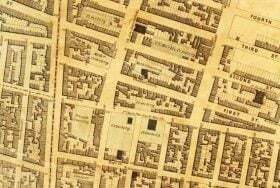 Weaving our way between scaffolding and rubble in one of New York’s most iconic naves, we saw the very foundation of Trinity Church’s past and got a glimpse of its future. From the finer points of organ-voicing to some of the first examples of American stained-glass, check out 10 of the most exciting behind-the-scenes secrets of the Trinity Church Restoration. The Trinity Church, whose history in New York City dates back 300 years, will partially close beginning Monday for a two-year, $98.6 million renovation of its nave, the main part of the church. As its first major revitalization in over 70 years, the landmarked church’s project will restore parts of the original 1846 Gothic Revival style designed by Richard Upjohn. 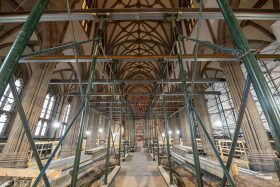 This includes rebuilding the chancel to its original size, increasing capacity by 140 seats and painting the interior walls and ceilings to reflect the original stone design. 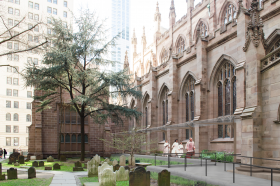 The reconstruction will move services and events at the Episcopal parish to nearby St. Paul’s Chapel, but the Chapel of All Saints and the churchyard, where Alexander Hamilton is buried, will remain open throughout the project. Hudson Square is undergoing another transformation. 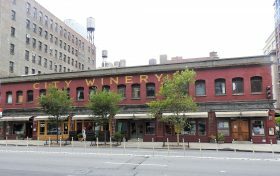 The neighborhood was once known as the Printing District because of the printing companies attracted to the large concrete and steel factory buildings located close to their Wall Street clients. 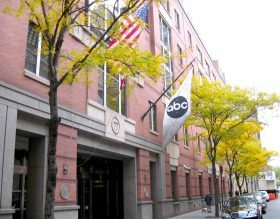 In the 1970s and ‘80s, technology and design companies replaced the printing industry, attracted by the architecture, location, transportation options, and affordable rents. But the area is once again evolving. 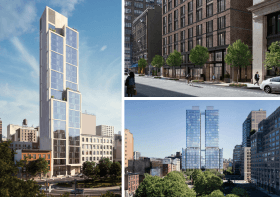 This time it’s experiencing a boom of what developers and realtors call “affordable luxury” condominiums (in the $1 – $2 million range) due to the largest privately-initiated rezoning efforts in the history of New York City. Not only is the neighborhood growing in height and residences but a large fund has been set aside to increase the neighborhood’s commercial mix, greenery, and traffic flow. 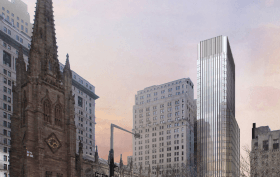 One year ago, Trinity Church Wall Street revealed plans for a $300 million mixed-use tower designed by Pelli Clarke Pelli that would link to the historic Neo-Gothic church by a footbridge over Trinity Place. Earlier plans for luxury condos were squashed by the community, so Trinity decided instead to build an office tower and community space that will “allow the church to continue to shape the area and advocate for the community in the future,” as the Rector, Rev. Dr. William Lupfer, explained. And it looks like the future is now; according to CityRealty, the Department of Buildings approved plans for the 26-story building and construction is underway.